They say that "the way to man's heart is through his stomach," or something like that. Well, the way to my heart is: BREAD. I love bread so damned much. So much that I sort of lack control in its presence. A few years ago, I learned that you could freeze fresh bread and then just defrost it or toast it later, and this has really helped me stop myself from eating entire loaves of bread in 2 days. What are your favorite toasty toppings? I know that if Bread had arms, it would hug me back. mmmm i love bread too! especially toast, i could eat toast everyday! Toasted whole wheat sourdough with peanut butter is a favorite of mine. My daughter is an artisan baker and brings us all kinds of yummy breads. During the holidays it will be sourdough with cranberries. I'm just loving all your mofo posts and the great drawings! I like to keep it simple with my toppings and usually go for hummus or pb and some form of jam. Ricotta on toast sounds pretty fantastic, I may venture down that road the next time I make some. I want to hug that loaf of bread too! Ha - I new it was quince as soon as I saw it! That is probably my favorite toasty topping. 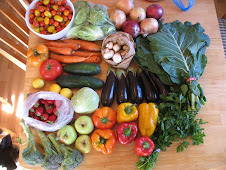 Earth Balance and quince paste or jam. 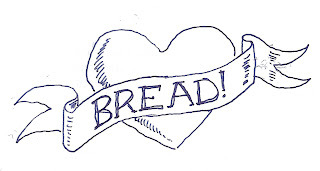 I definitely relate to the bread love. That illustration is the best thing ever. That sour rye bread looks amazing, too. Anything goes when it comes to toppings for toast, but I do really enjoy eating plain bread, when all else fails. Could you post me a few slices? This looks great, I love toast with Hummous and olives or sundried tomato. I love the savoury! Really need to visit a good bakery, we dont have one very locally, just supermarkets. I might even have to attempt it myself! A friend with fresh bread is the best kind of friend! I love making bread at home - I should do it more, only the wait for it to rise drives me nuts! The bread anticipation is fatal! I share your bread addiction, Amey. That sour rye loaf looks incredible!! My favorite toast toppings are PB&J, hummus, or EB with lots of nutritional yeast. I love bread so much! I could probably just eat bread all day long & be quite happy. I love to top mine with margarine or avocado, salt & pepper. 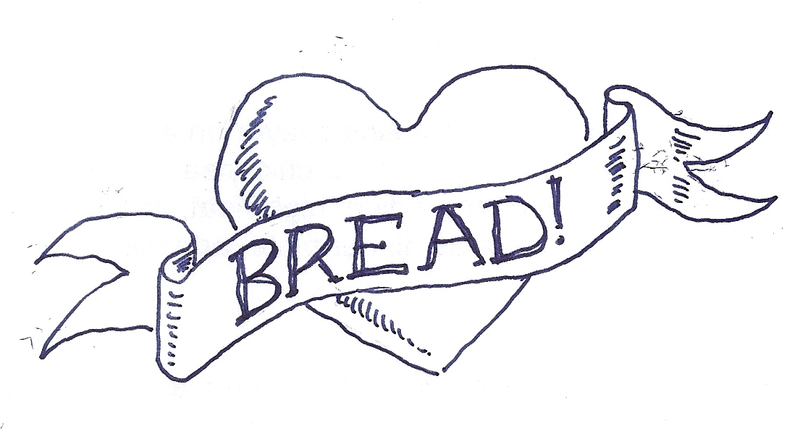 I'm with you--I love bread, too and can eat entire loaves in one sitting. How sweet of Sophia to bring you a loaf of love. 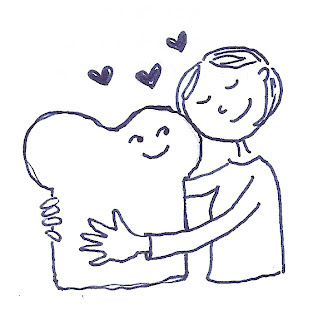 I can tell that slice of bread is totally wishing he had arms with which he could hug you back! You're so lucky to have friends like Sophia who bake bread for you! My favorite toast toppings are hummus, smashed avocado & a sprinkling of nutritional yeast or peanut butter. 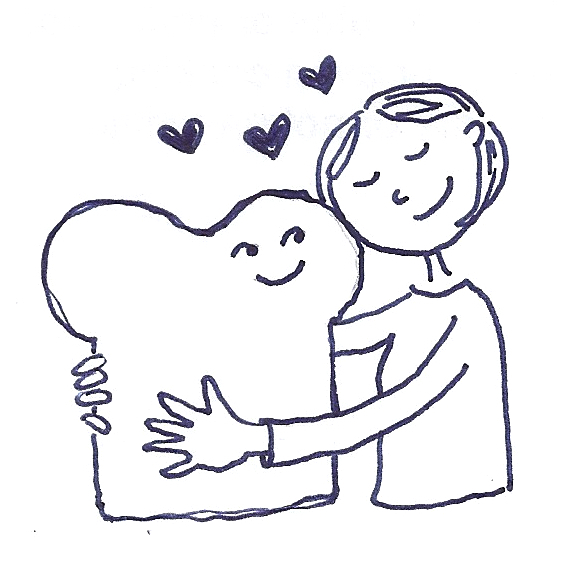 <3 to you, i'm glad you like your bread! Sometimes I like just Nuttelex (vegan margarine), other times pb or pb & raspberry jam :) Or hummus!